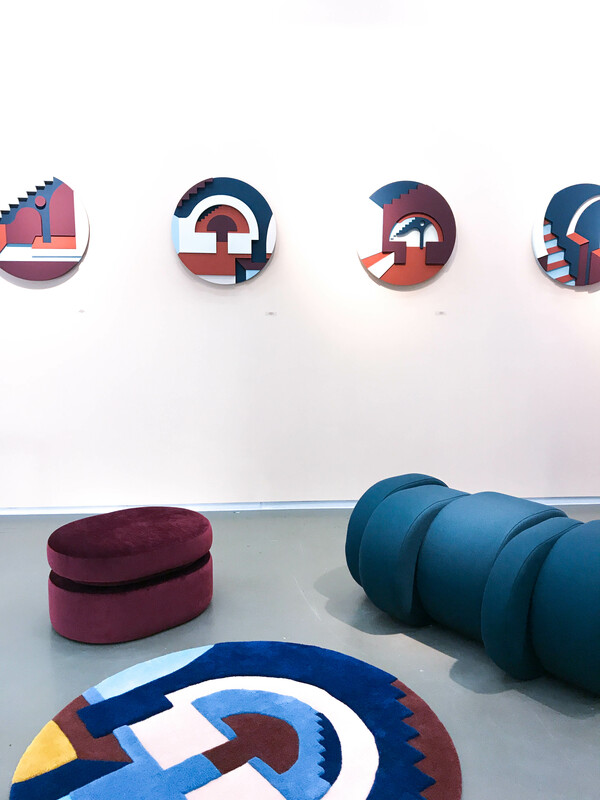 This week sees the second edition of Collectible, one of the very few fairs bridging the gap between design and art, at Brussels’ stunning Vanderborght building. The innovative idea behind it: to offer a platform for contemporary collectible design. Defying hierarchies and categories, the exhibitors not only include design galleries and studios, but also art galleries presenting functional pieces by visual artists. 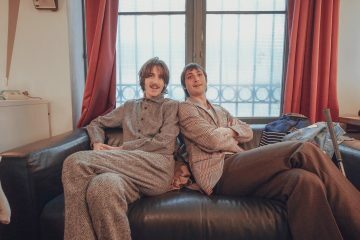 The fact that this second edition is taking place at all, and that last year’s debut wasn’t just a one-off, speaks volumes about its relevance. Here are our very favorite pieces of this year’s edition, which you can still visit till Sunday, 17 March, 19h00. 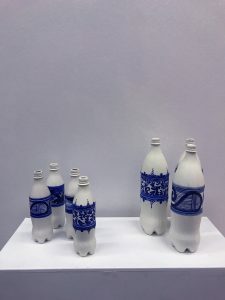 Intelligent, thought-provoking and beautifully executed: “New Majòlica” is a series of hand-painted porcelain bottles thought up by Spanish designer Gerard Moliné. The 10 bottles, in two sizes, recall a contemporary form we all know too well, combining the iconic design with traditional decorative patterns painted by skilled craftsman Badajoz. Presented by Barcelona gallery il.lacions, the pieces juxtapose industrial mass production and our throwaway-culture with ancient values of craftsmanship and manually done work. 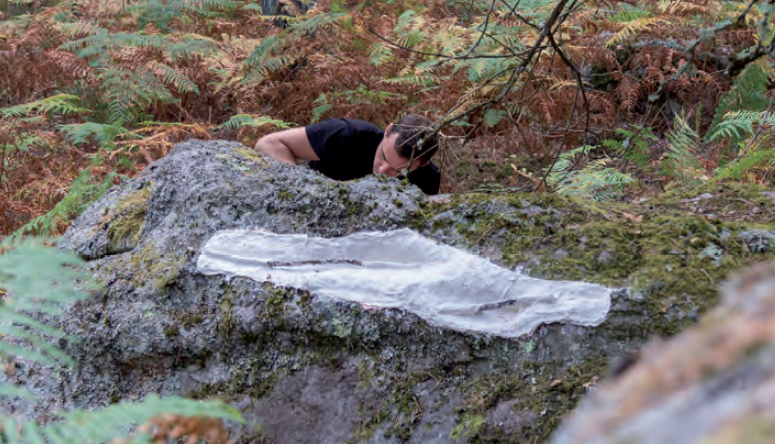 French-born Gaspard Graulich went deep into the Fontainebleau forest for what is quite an unconventional project. 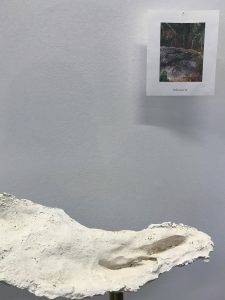 Working on site, in nature, he went on a search for mineral forms and rock formations that he would later use in a molding process as a basis for the creation of his objects. “Pareidolia” is an experimentation confronting natural forms with the rationality of objects built by humans while interrogating the relationship between the primitive and contemporary. Highly interesting. 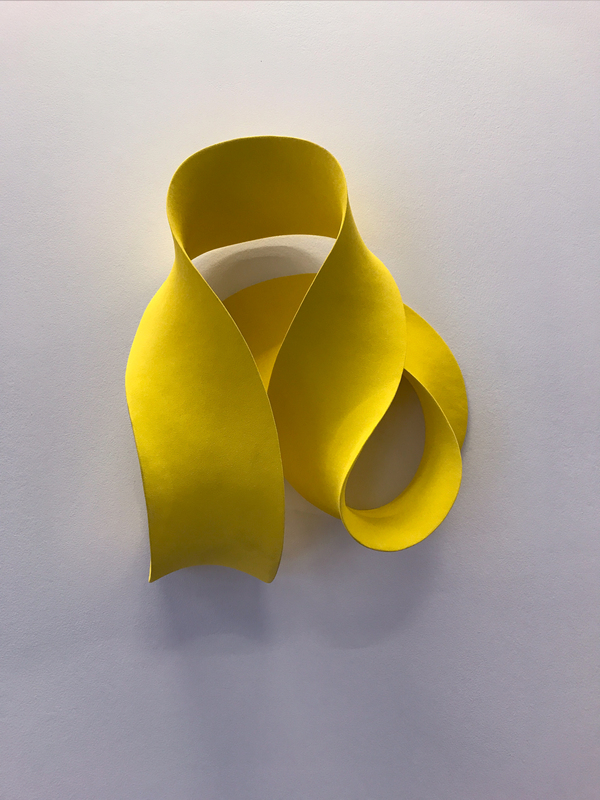 Danish, UK-based designer Merete Rasmussen‘s Yellow Loop (2019), presented by Brussels’ Puls Gallery, elegantly conveys softness and dynamism at the same time. The stunning wall piece is hand-built, and while seemingly fluid and flexible, it is all solid ceramics. “I work with the idea of a composition in three dimensions, seeking balance and harmony. 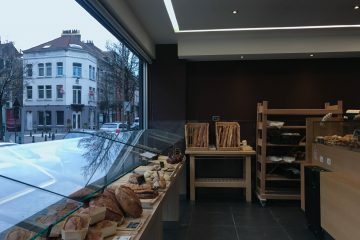 The finished form should have energy, enthusiasm, and a sense of purpose”, says Merete. 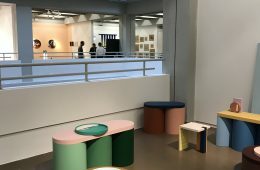 For Collectible, a number of Belgian institutions (the Design Museum in Ghent, the Brussels Design Museum and CID Grand-Hornu) teamed up for a shared booth showcasing pieces that are part of their collections. 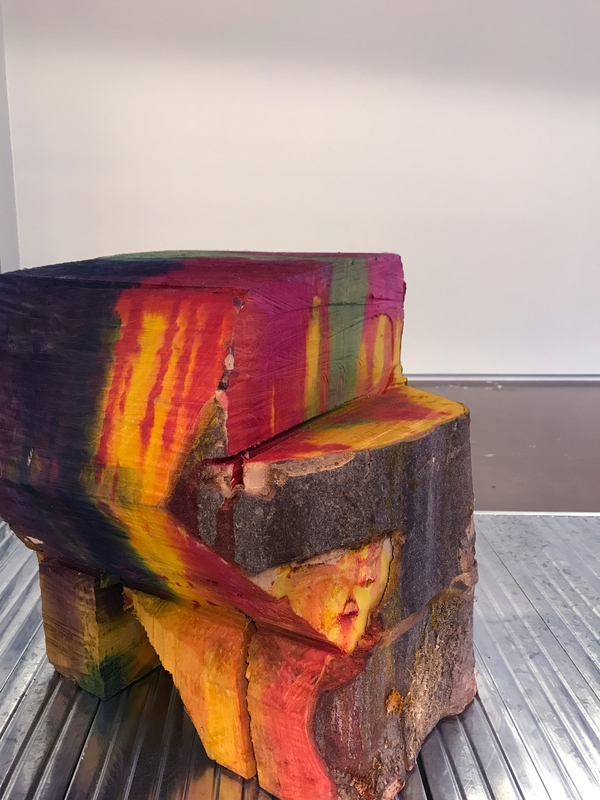 “Juicy Log” (2017) is part of the CID’s collection. Belgian designer Lionel Jadot infused a tree trunk with color pigments and then cut it with a chainsaw, revealing the randomly created, beautifully colored layers inside its flesh. 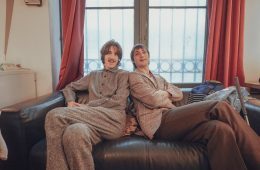 Skal showed a harmonious collaboration by Brussels-based textile and furniture designer Pierre-Marc Bonenfant and London-based graphic artist Emily Alston better known under her artist moniker Emily Forgot. 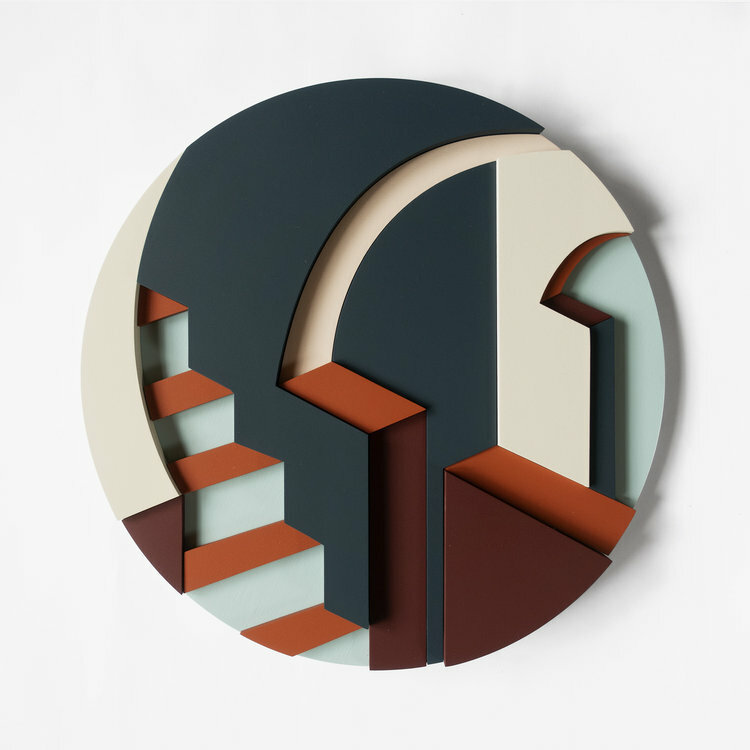 For Collectible, the latter created a series of her signature “Assemblages” (usually round, wooden, architectural and oscillating between the two- and three-dimensional) inspired by the Belgian capital and its architecture. Bonenfant’s objects and carpets intriguingly interact with her wall pieces.